Triglycerides – you have heard this word and probably vaguely know it has some sort of effect on your risk of heart disease. But how much do you really know about this form of fat? How is it different from cholesterol and why does knowing your triglyceride number matter? Maybe you’ve been told by your doctor that your triglyceride number is too high and you need to lower it. The problem is you have no idea on how to do this. Let’s explore what is a triglyceride, why your number matters, and steps on how to reduce it to a healthier range. Triglycerides are the main form of fat found within foods and in the human body - in fact, 95% of all fat, whether in our food or in our body, is in the form of a triglyceride. 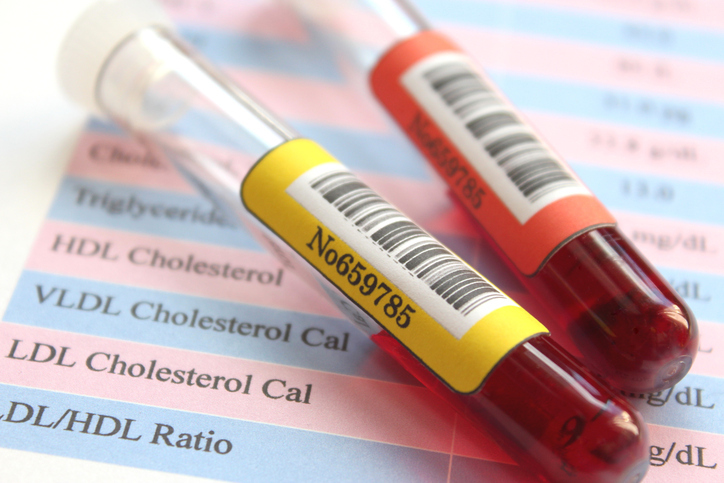 Having a high level of triglycerides in the blood can increase your risk of heart disease. When we eat foods, any calories we don’t use are converted into triglycerides which are stored in your fat cells. Regularly consuming foods high in sugary carbohydrates and fat may cause you to have high triglycerides putting you at risk of a heart attack or stroke. Cholesterol and triglycerides are different types of fat that circulate in our blood. Triglycerides store unused calories providing your body with potential energy while cholesterol is used to build cells and make bile, vitamin D and other hormones. 1. Reduce sugar – Consuming a sugar intake more than 10% of total daily calories can result in high triglyceride numbers. The American Heart Association recommends an intake of no more than 5% of your daily calories from added sugar. For men, this means no more than 150 calories (37.5 grams or 9 teaspoons) and for women, no more than 100 calories (25 grams or 6 teaspoons) of sugar each day. 2. Lose weight – If you are overweight, just losing 5 -10% of your current body weight can have a significant impact on lowering triglycerides by about 20%. 3. Increase fiber – Drastically reduce all refined, sugary foods – cookies, all sugary beverages, ice cream, cake, pie, sugary desserts – and replace them with healthy high fiber foods such as fruits, vegetables, whole grains, and beans. 4. Reduce the sugar fructose – Fructose is a type of sugar leading to high triglycerides. A main source is high fructose corn syrup found in many of our processed foods and soft drinks. Even some “healthy” foods like raisins and dates are high in fructose raising triglyceride levels. Choose fruits containing less fructose such as peaches, cantaloupe, grapefruit, strawberries, and bananas. 5. Follow a moderately low-fat diet – The American Heart Association recommends about 25-35% of our total daily calories to come from fat. To know if you’re getting the right amount of fat, if you eat 2,000 calories a day, 30% is 600 calories. At 9 calories a gram you would want to take in no more than 67 grams of fat a day. You can find the number of fat grams on packaged foods by reading the Nutrition Facts label. 6. Choose healthy fats – Unhealthy fats are both saturated fat and trans fats. Saturated fats include red meat, butter, cheese, whole milk, and coconut and palm oils. Trans fats are found in shortening and stick margarine. Replace unhealthy fats with both polyunsaturated and monounsaturated fats. Examples of polyunsaturated fat include safflower, corn, and soybean oils. Examples of monounsaturated fats include canola and olive oils. 7. Add omega-3 fatty acids – Fatty fish such as salmon, tuna, herring, mackerel, lake trout and sardines are brimming with omega-3 fatty acids. Consuming fatty fish at least twice a week is recommended. If you don’t like fish, you can take fish oil supplements with your doctors supervision as too much omega-3 can interfered with blood clotting ability. 8. Limit alcohol to a bare minimum – Even a small amount of alcohol can possibly increase triglycerides. Recommendations by the American Heart Association states that those with very high triglycerides to avoid alcohol completely. 9. Increase exercise – All of us should exercise but especially those with high triglycerides. Getting at least 30 minutes of moderate-intensity physical activity on most days of the week can possibly lower triglycerides. 10. Triglyceride lowering medications – People with very high triglycerides (500 mg/dl or higher) may be recommended by their doctor to take medication to lower their triglycerides. This might include taking fibric acid derivatives, niacin, omega-3 fatty acids or statins. The more of the 10 steps a person practices within their daily lifestyle, the more likely they will be successful at lowering their triglycerides and lowering their risk of heart disease.